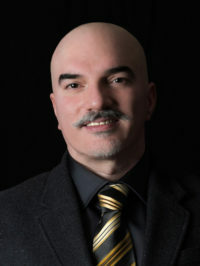 Dr. Shadgan’s primary research is focused on using biophotonics techniques to study processes occurring inside tissues, including their supplies of blood and oxygen, in a clinical setting. The core of his current research program includes developing a new method for continuous monitoring of spinal cord hemodynamics and oxygenation in people with acute spinal cord injury (SCI). 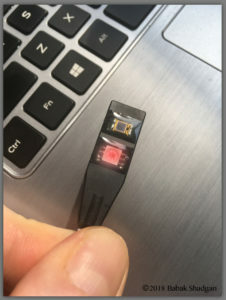 In collaboration with ICORD PI Dr. Brian Kwon, Dr. Shadgan has developed an implantable NIRS sensor small enough to be placed over the spinal cord for non-invasive monitoring of spinal cord tissue oxygenation and hemodynamics. He is also developing an optical sensor to assess and monitor blood flow to grafts, as well as their viability in reconstructive surgery and organ transplantation. A miniaturized multi-wavelength NIRS sensor developed by Dr. Shadgan for continuous monitoring of tissue oxygenation and hemodynamics. Among photonics techniques, Dr. Shadgan has expertise and a particular interest in development and application of near-infrared spectroscopy (NIRS) in clinical settings. NIRS works by transmitting light energy (photons) in the near-infrared spectrum (wavelengths ~ 650-1000 nm) into living tissue, then monitoring the absorption of photons by the molecules in the tissue that give it colour. NIRS can track changes in oxygen supply, consumption and demand in tissues, and it is non-invasive, which means that it doesn’t have to be inserted through the skin. NIRS can be used to measure changes in the amount of oxygen and blood entering tissues in real-time. When using different wavelengths of light and varying distance from the tissue, NIRS can also measure the ratio of oxygenated blood to total blood in the tissue, which is known as tissue oxygenation index (TOI%). This index is important in clinical settings because it does not need to be compared to other measures in order to provide rapid, real-time information on the level of oxygen in tissues. Analysis of NIRS signals can also provide useful information about other properties of tissues. This is especially important in the acute phase of SCI, when a lack of blood flow and oxygen in the spinal cord can cause further damage to it. Improving blood flow and oxygenation of the spinal cord in the acute stage of SCI can prevent a significant degree of neural damage, thus mitigating the health conditions that the SCI causes. Dr. Shadgan is determined to use his research program, funded by an MSFHR Scholar Award in 2018, to make discoveries that improve the quality of life for people with SCI. 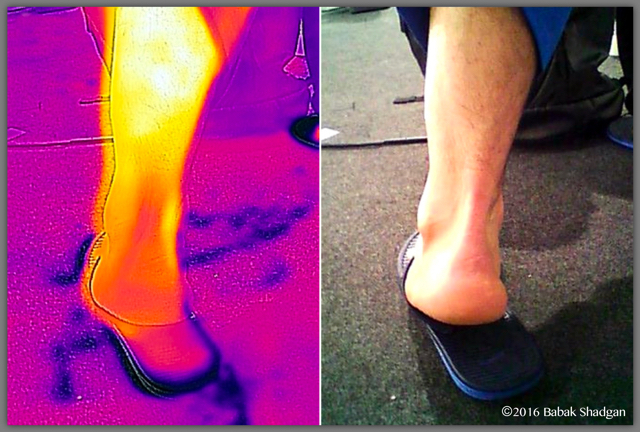 An infrared image showing integrity of the Achilles tendon in an athlete. As a sports physician-scientist, Dr. Shadgan is also a pioneer researcher in applying photonics techniques to the evaluation and monitoring of skeletal muscle metabolism and function during exercise and when affected by injuries. Using modifications of wireless and wearable NIRS systems, Dr. Shadgan explores the quality of muscle contraction and recovery in high-performance athletes as well as in people with neuromuscular and muscle fatigue conditions. He is also developing applications of infrared Imaging techniques for non-invasive evaluation of skeletal muscle injuries. 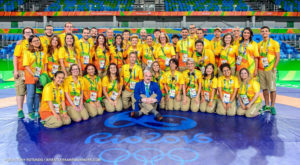 Olympic experiences have played a critical role in shaping Dr. Shadgan’s research career since 2002. During the 2004 Athens Olympic Games, one of his patients, a gold medalist wrestler, had to drop out of Olympic competitions because of progressive leg pain caused by a condition called chronic exertional compartment syndrome (CECS). In contrast to the majority of medical conditions, which are challenging to manage, treatment of this syndrome is straightforward when an early diagnosis is made. The standard diagnosis is based on clinical assessment confirmed by measurement of the leg’s intra-compartmental pressures, an invasive technique that requires inserting multiple needles into the leg compartments and recording intra-compartmental pressure changes while the subject runs on a treadmill. Difficult and subjective, this method often has limited diagnostic values. Many people, especially elite athletes, refuse to undergo this kind of investigation simply because of its invasive nature. That Olympics experience inspired Dr. Shadgan to start investigating an alternative, non-invasive, and sensitive technique for early and accurate diagnosis of CECS. He came to UBC with a clinical proposal to use NIRS for this purpose. Dr. Shadgan’s second area of interest in sports medicine is injury prevention and Olympic injury surveillance studies. His studies are focused on better understanding of the characteristics, risk factors and mechanisms of injuries in athletes from the recreational to elite level, and in high-risk individuals including people with disabilities. 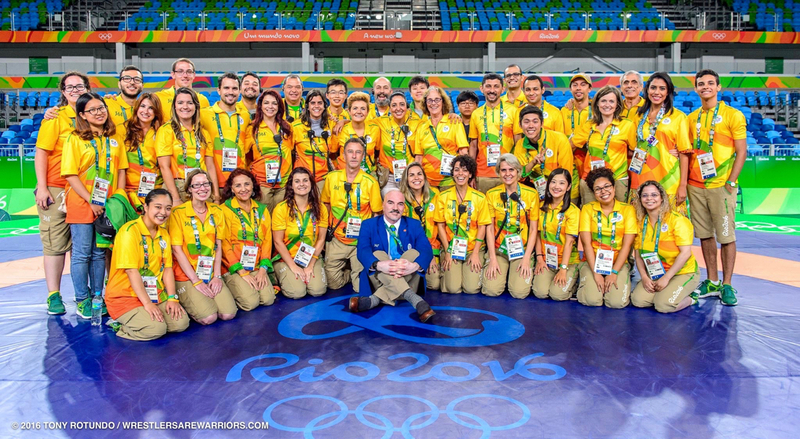 As the chairman of the International Olympic Wrestling Federation Medical Commission, Dr. Shadgan has been serving the Olympic Games as a Medical Officer and Medical Director of Wrestling competitions since the 2004 Athens Olympic Games. The multidisciplinary and spinal cord research-oriented environment of ICORD provides a unique opportunity for Dr. Shadgan’s research program. He enjoys working with exceptional researchers, scientists and trainees with a variety of skills and areas of expertise at ICORD, where he is establishing his state-of-the-art clinical biophotonics laboratory. Dr. Shadgan collaborates with numerous ICORD researchers, including Dr. Brian Kwon, with whom he investigates applications of NIRS to monitoring blood flow in the acutely injured spinal cord, and Dr. Aziz Ghahary, with whom he studies wound healing by infrared imaging. Dr. Shadgan has collaborated with Drs. Mark Nigro and Lynn Stothers on NIRS-based monitoring of bladder muscle hemodynamics, pressure and function in people with SCI. Dr. Shadgan is currently seeking a PhD student to join his research team. This position will be jointly supervised by Dr. Shadgan and Dr. Brian Kwon. The starting salary is $21,000 per year for the first two years. The successful applicant will be expected to apply for competitive external funding. To be eligible for this position, candidates should have an M.D. or M.Sc. from a recognized university and have been accepted by the Faculty of Graduate Studies at the University of British Columbia. Excellent verbal and written English communication skills are required. Competitive candidates will have extensive experience with clinical research, neuroscience or spinal cord injury, and understanding of near-infrared spectroscopy technology will be considered an advantage. Preference will be given to applicants with published scientific manuscripts and at least one first-authored publication in the field. To apply, please send a cover letter outlining your research interests, a CV, and the names and contact information of 3 references to Dr. Babak Shadgan by email. Shadgan, B, Pakravan, AH, Hoens, A, Reid, WD. 2018. Contrast Baths, Intramuscular Hemodynamics, and Oxygenation as Monitored by Near-Infrared Spectroscopy.. J Athl Train. doi: 10.4085/1062-6050-127-17. Shadgan, B, Pakravan, A, Zaeimkohan, H, Shahpar, FM, Khodaee, M. Zika and Rio Olympic Games.. Curr Sports Med Rep. doi: 10.1249/JSR.0000000000000278. Shadgan, B, Khodaee, M. 2016. Smart Clothing is the Best Protection Against Zika During Rio Olympic and Paralympic Games.. Clin J Sport Med. doi: 10.1097/JSM.0000000000000365. Reid, WD, Sheel, AW, Shadgan, B, Garland, SJ, Road, JD. Recruitment and Deoxygenation of Selected Respiratory and Skeletal Muscles During Incremental Loading in Stable COPD Patients.. J Cardiopulm Rehabil Prev. doi: 10.1097/HCR.0000000000000185. Basoudan, N, Shadgan, B, Guenette, JA, Road, J, Reid, WD. 2016. Effect of acute hypoxia on inspiratory muscle oxygenation during incremental inspiratory loading in healthy adults.. Eur. J. Appl. Physiol. doi: 10.1007/s00421-016-3334-x.